Crytek's Lead Research and Development Graphics Engineer Tiago Sousa has left the company to work on id's upcoming Doom reboot. Tiago Sousa, Crytek's Lead Research and Development Graphics Engineer, has just announced via Twitter that he will be leaving the company in favor of Bethesda Softworks child company id Software, to work on its upcoming Doom reboot. 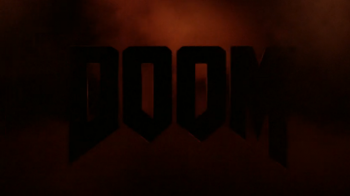 "Happy to announce i'll be helping the amazingly talented id Software team with Doom and idTech 6," said Sousa. According to Sousa's Linkedin profile, he had been with Crytek for over a decade, working as a graphics programmer and engineer on the company's own CryEngine. He also worked on some of the company's most well-known games, such as the first Far Cry, Crysis, Ryse: Son of Rome and other "undisclosed multiplatform projects." It's unknown if he had any role in the studio's upcoming Homefront sequel: Homefront: The Revolution. The news comes amidst multiple unconfirmed reports that Crytek is facing some pretty daunting financial troubles, at least at its UK office. Last we heard, Homefront: The Revolution's game designer Hasit Zala had resigned from his position. Crytek refuted bankruptcy rumors back in June, but has remained very tight-lipped since then.